A highlight of 2016 was travel with my husband to the cooler climes of Croatia and Bosnia Herzogovina for a week in their autumn (October), followed by another week in the freezing weaher (for us) of Budapest and Copenhagen. 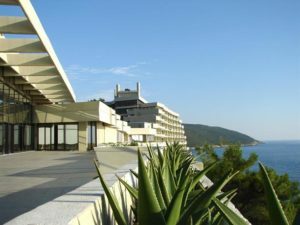 My husband was in Croatia to lead the 3rd International Symposium on Stuttering, held at this gorgeous award winning Hotel Croatia. where we stayed, overlooking the Adriatic Sea. From the sea, it resembles a dazzling white cruise ship, perched on the cliff of “the Mediterranean Sea unspoilt like it used to be” at the southern most tip of Croatia. I have recently spent some time uploading videos that I took during these unforgettable holiday destinations (posted on Vimeo and YouTube). is known as the “Green Nobel” and is awarded annually to countries and individuals who are heroes in the fight for the earth and its resources. That said, I am pleased to upload this, my first post for 2017, focusing on climate records broken on a global scale, and a small blogging award for me. I am proud to announce this Blogging Award for my website, “The Craft of Writing”, which has been placed among the 20 best writing blogs online according to Feedspot.com. As well as being a wonderful incentive for me to start the new blogging year, this award lists other exceptional creative writing sites, some of which I have been following. Visit the Feedspot Award page by clicking here or by clicking on the badge in the margin of this site. Apart from creative writing and environmental issues, I would also like to continue to write about the other previously stated topics of interest to me, which include psychology, especially destigmatising mental illness; spirituality in its broadest sense; travel; mythology and supporting minority groups. Please continue to follow and comment on my posts. I love and thrive on feedback. Now, with the hottest January on record here in Sydney, and no relief during the nights, I am creating this post on a very humid day with a high of 35 degrees celsius. And I am pleased to announce a blogging award. 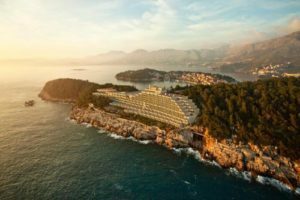 is global warming happening?the implications of environmental degradationWhat is the Goldman Environmental Prize?Where are bosnia and herzogovina?where is cavtat? Congratulations on the award. What a great achievement and I must say the sight of the gold medal for your blog looks mighty impressive on your page, well done. You must (should/have to) be celebrating the joy of achievement and revelling in the thrill of your creative effort. The problem now being that you have set the bar high and henceforth must continue to achieve what you previously never thought possible. Hi Ian, Your positive words of encouragement are just as valuable——even more so——as awards from strangers to me. You’re right, I really need to dig deep now and make a difference in my own small way, if possible. I believe strongly that positivity has an unseen but powerful effect on the world much greater than all the negative events put together. So keep it up.